BRIGHT has developed an innovative and user-friendly design for Jekabpils city municipality website. The web design incorporates all latest internet technology requirements. It features functionalities for viewing video and photo contents. 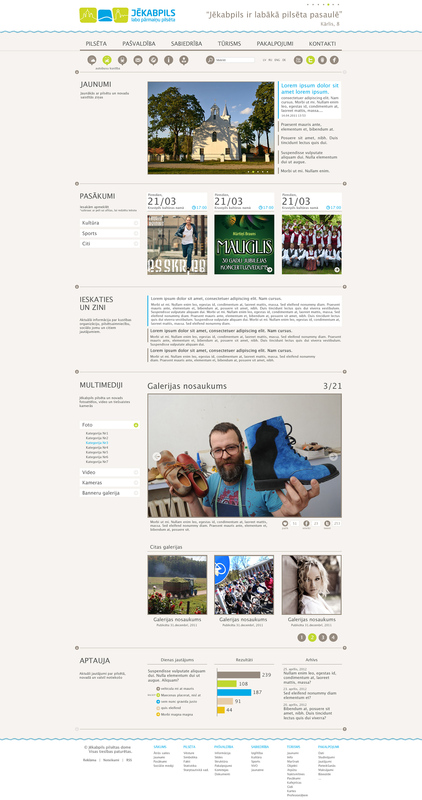 The website has a news and events section with a chronological layout and a panel of stylized icons on the top of the page displaying most frequent search topics about Jekabpils city.